Open-air cinema. Opened 31 Apr 1927 with the film The Coast of Folly ("La Esclava del Pasado"). Demolished. 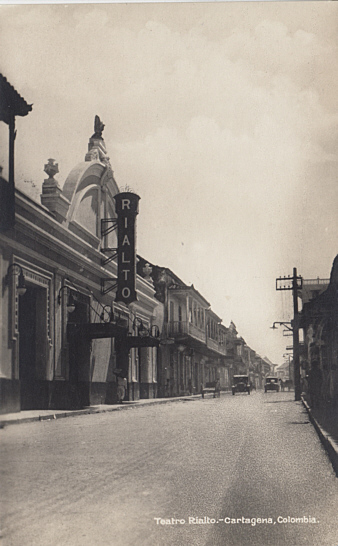 Front Text: "Teatro Rialto. - Cartagena, Colombia." Publisher: X. de Pindray & Cia. 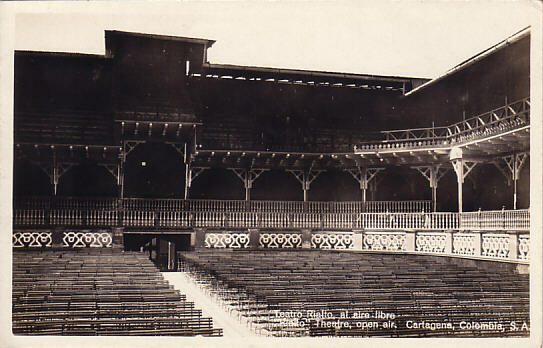 Front Text: "Teatro Rialto, al aire libre - 'Rialto'-Theatre, open air - Cartagena, Colombia, S. A."